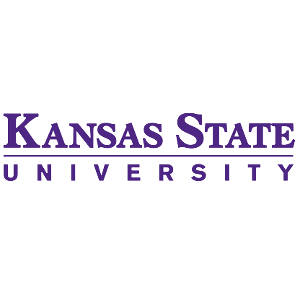 Kansas State University (K-State) has selected Harris Search Associates to lead the searches for the next Dean of the College of Veterinary Medicine and Dean of the College of Agriculture and Director of K-State Research and Extension (KSRE). Established in 1905, the College of Veterinary Medicine has awarded the Doctor of Veterinary Medicine (DVM) degree to over 5000 students. Annual enrollment in the DVM program remains close to the target class size of 112 students. The College is organized into three academic departments and two service units: Anatomy and Physiology, Diagnostic Medicine and Pathobiology, and Clinical Sciences and the Veterinary Health Center and Veterinary Diagnostic Laboratory, respectively. Recently, the College was ranked No. 4 in the Top 10 Veterinary Schools in the U.S. by College Magazine. The Dean of Veterinary Medicine is the chief academic and executive officer of the college, and has primary responsibility for faculty and staff development, personnel oversight, budgetary planning and management, fundraising, academic and curricular issues, clinical resources and facilities development. In that capacity, the dean provides vision and leadership for the advancement of the college and fosters a collaborative culture supportive of the college's missions of education, research, clinical practice, and public engagement. The dean also has oversight of the Veterinary Health Center and Veterinary Diagnostic Laboratory, which includes responsibility for teaching within the hospital and diagnostic labs, patient care, diagnostic service and research. The Dean works extensively with the associate dean for academic programs, associate dean of international agricultural programs, associate dean of research and graduate programs, associate director for research, associate director for extension, college department heads, and deans of other colleges with faculty appointments in the Agricultural Experiment Station and Cooperative Extension Service. Other responsibilities include overseeing international programs and institutes and interacting with county and district extension councils and the state legislature. The interim dean/director reports directly to the provost and serves on the Council of Academic Deans. Founded in 1863, opened as the state's land-grant college and the first public institution of higher learning in the state of Kansas, K-State is a public research university with its main campus in Manhattan, Kansas, United States with approximately 24,000 students. The university has nine academic colleges and offers more than 250 majors and options. The Graduate School offers 73 master’s degrees, 44 doctoral degrees and 43 graduate certificates in multiple disciplines. The Princeton Review recognizes the university as one of the nation’s best colleges, and U.S. News & World Report lists the university among the Top 75 public universities in the U.S.
Harris Search Associates - an IIC Partners member firm, is a leading global executive search and board advisory consulting firm with 50 offices in 33 countries worldwide. Our practice is focused on identifying and attracting leaders to support the growth of clients in the areas of research, science, engineering, academic medicine and healthcare enterprises. Clients include the foremost universities, research parks, institutes, academic medical centers and commercial organizations driving global innovation and discovery. Detailed profiles for each search will be available soon. Nominations and/or suggestions of prospective candidates are welcomed.